When we arrived in Robit, we found a community in dire need of basic life services. We also met villagers committed to the education of their children and the future of their community. Together, we developed a plan to create opportunity, health and resilience. The people of Robit were cut off from a world of opportunity and services. Without a road into Robit, the closest town was inaccessible for months at a time—putting trade, a good education and jobs out of reach. Contaminated water and preventable diseases created a life of daily struggle, especially for women and girls. Robit’s schools were unsafe and education stopped at the eighth grade. Like many girls in Robit, Yorda gathered drinking water for her family from a muddy river. Shared with farm animals, the contaminated water perpetuated disease. After a fire destroyed Robit’s health clinic, the sick had to be carried on stretchers for hours to the nearest town for medical care. The long journey risked lives and increased suffering. Glimmer invested in the core needs of education, clean water, health care and income growth to bring sustainable resilience to the entire community. The schools in Robit were failing and education stopped at eighth grade. Brand new schools and trained teachers changed the face of education in Robit. Glimmer created the opportunity for every child to go to school and prepare for college. Now, this generation of Robit children can break the cycle of poverty. For girls in Robit, the daily search for water took time away from school. Waterborne diseases impacted health and well-being. Glimmer's water program brought access to 13,000 gallons of clean, safe water to Robit. Now, daily life is transformed for girls who are healthy and attending school. The strongly-held cultural tradition of home births and lack of basic medical care compromised the health of thousands of women and children in Robit. Glimmer's new health center established modern surgical and preventive care within steps of home. Now, babies in Robit are born with a healthy start. Isolated from resources to start a business, the options for growth in Robit were limited, especially for women. Glimmer’s micro-loan program, with a 100%, on-time repayment rate, invested more than $686,000 into the community. Small loans for women entrepreneurs continue to spur wealth and innovation. Building on Glimmer's work, the people of Robit set new water and education initiatives in motion. A community-funded project brought running water into many homes in Robit, and the local primary school was recognized for academic excellence in the region. The change in Robit brought a new road, a bus route and electricity into the town, connecting the people to jobs and opportunity. At the bustling, growing marketplace in Robit, traders can now find teff, livestock and handmade goods. The village buzzes with the exchange of new ideas and services. Support for farmers has improved harvests and food production for Robit. The agricultural potential here attracted the attention of the World Bank, which is investing in irrigation and large-scale food processing plants in the area. The increase in production and jobs has boosted food security in Robit and surrounding towns. A child has access to medical care. A mother supports her family through a small business. An aspiring doctor attends school. Meet three of the thousands of villagers in Robit who can now reach their full potential because of Glimmer's holistic work. Before we began our work, Robit lacked the most basic medical care. Women delivered babies in unsafe conditions that put both the mother and child at risk. When Karsi suffered complications during labor, her neighbors struggled to carry her hours away to the nearest health center. She delivered the baby on the side of the road. Thankful that they both survived, she named her son "Godoanaw," meaning "street." Today, Karsi and Godoanaw live a short walk away from medical care. The nearby health center improves the well-being of an entire community. Hizbalem Muche is one of 800 Robit women who received loans from Glimmer. With a small cash investment, her successful business ventures are part of a thriving, stable village economy supported by women leaders. Hizbalem is changing the idea of what it means to be a woman in Robit—setting a new course for herself, her children and her community. With the new Robit High School, students like Danoachew can stay in their village and continue their education. Going to college to become a doctor may be an ambitious goal in rural Ethiopia, but Danoachew has the drive. He ranked third in his class of 64 students and plans to be first in his class this year. Danoachew is part of a generation of students who can break the cycle of poverty. A high school education opens up new opportunities. Computer labs, books and talented teachers connect Robit children to the world. Robit Village is part of the groundswell of growth taking place across Ethiopia today. With notable increases in life expectancy, improvements in education and a decline in child deaths since we started our work in 2000, Ethiopia’s progress is remarkable. By encouraging health, stability and connection in our villages, we create a ripple effect of greater resilience. To learn more about our impact in Robit, read the full case study. 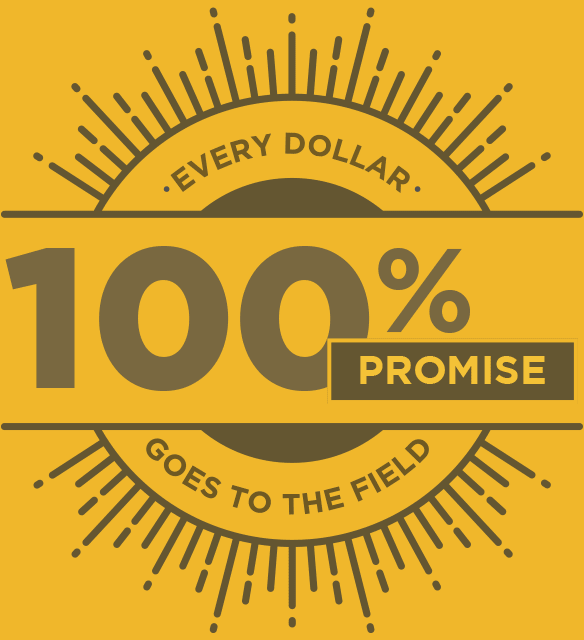 Every dollar you donate goes directly to lifesaving projects in rural Ethiopia. Our endowment covers all operating costs, so your giving goes farther with Glimmer.